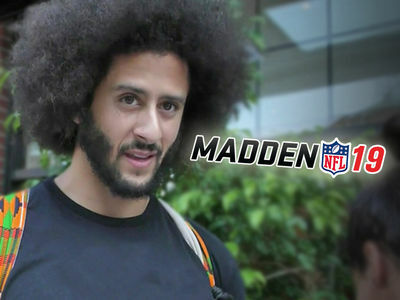 Colin Kaepernick's message will be coming to a store near you very soon ... because TMZ Sports has learned the QB has filed an application to trademark his signature "I'm With Kap" slogan for clothing. 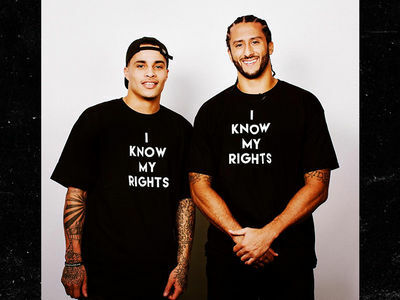 Kap's been using the mantra since the beginning of his schism with the NFL ... with the hashtag taking off on social media, and celebrities like G-Eazy, Kenny Stills and Harry Belafonte rocking shirts bearing the slogan. Now we've learned Kap has filed paperwork in California to own he slogan for use on shirts, hoodies, caps and other apparel. It's an interesting move ... there's some talk that major clothing brands, like Adidas and Puma, could make a move to sign Kap in the future, so owning the trademark could mean big business for him. 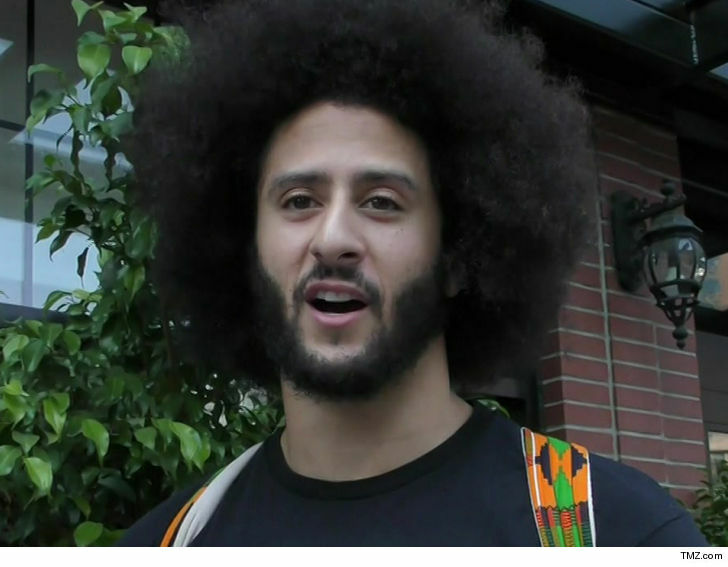 It's not like he's desperate for the cash -- Kaepernick reportedly made more than $40 mil in contract money during his NFL career. Plus, he had a bunch of sponsorship deals. But, he's been huge with philanthropy -- donating $1 mil of his own money to various charities and non-profit organizations, including his "Know Your Rights" campaign. So, if he profits from "I'm With Kap" ... the extra cash could go a long way.